Summary: Stick Man lives in the family tree with his Stick Lady Love and their stick children three. But it's not easy being a Stick Man. A playful dog wants to play fetch with him. Children use him as a sword for a knight, a hook for a bag, as a bow, boomerang, and an arm for a snowman. Things go from bad to worse as Stick Man is carried farther and farther away from home. He is even collected as kindling and put into the grate of a fireplace! 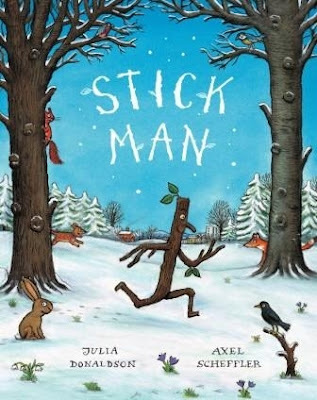 Lonely and lost, Stick Man desperately wants to get home to be with his family for Christmas. When he helps Santa Claus out of a bind, he finds the perfect ticket home! Children have an affinity for sand play. Teachers and parents can build on that natural interest by providing children with interesting props (in this case "Stick Man"), asking appropriate questions, and scheduling enough time for children to work through their play ideas. 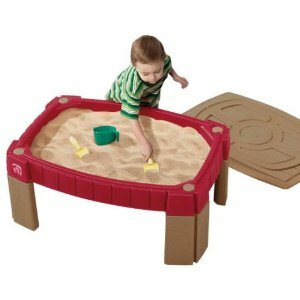 Invite children to draw, write, poke, prod, dig, stir, and swirl the sand with their "Stick Man." Summary: The Emperor of China needed to choose a successor to his throne. Because he loved flowers so much, he decided to give every child in the kingdom a seed. The Emperor proclaimed, "Whoever can show me their best in a year's time will succeed me to the throne." 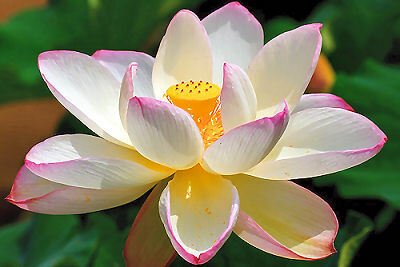 Anything Ping planted virtually burst into bloom, so he was sure that he could grow the most beautiful flower of all. Ping tended to his seed very carefully but nothing grew. All of the other children rushed to the palace with their beautiful flowers, hoping to get chosen. 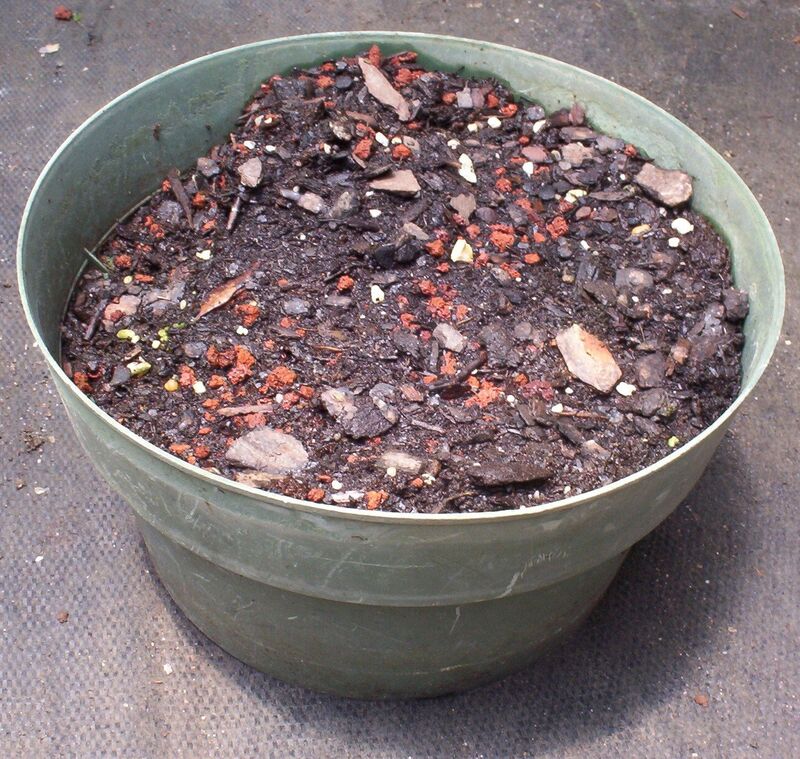 But a smile spread across the Emperor's face when he saw Ping hugging his empty pot. 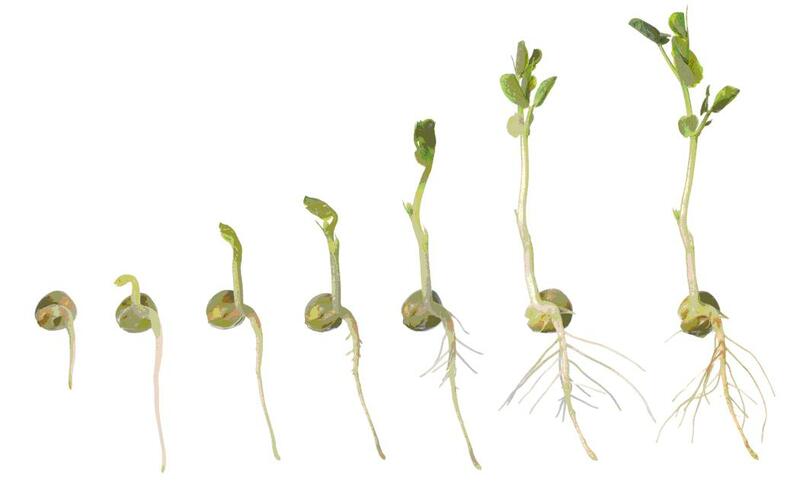 All of the seeds had been cooked, so it was impossible for any of them to grow. Ping was the only child who had been honest enough to return with an empty pot. Out comes the sun, big and round. 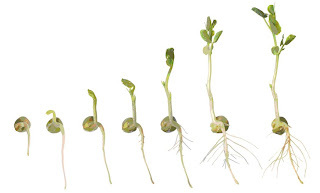 Up comes the little seed, grow, grow, GROW. 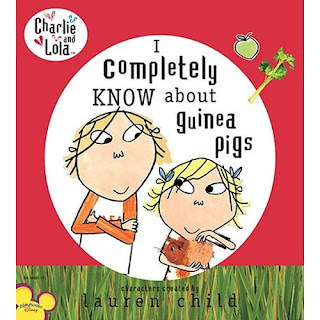 Summary: Lola is positive that she won't be chosen to bring Bert, the class guinea pig, home for the school vacation. Lola has never had a pet like many of her other classmates, and doesn't know how to care for them. After Mrs. Hanson does choose her to look after Bert, she learns everything except where to find him when he totally and utterly disappears! 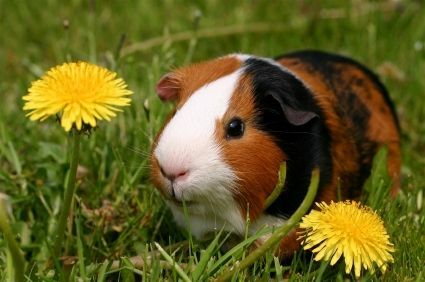 "Guinea pigs love long grass because they are shy. And they like to hide in the burrows of other animals." This activity calls for those toilet paper and paper towel rolls you've been saving. 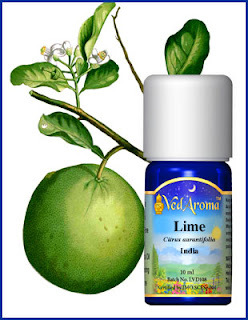 It's time to re-use them! To join the tubes together, have the children use scissors to cut 4 little slits around the very end of the tube. They can now put the other tube in between the slits to join them. If it isn't fastened tightly enough, make the slits deeper. Paint the lush long grasses of Peru onto the burrow. 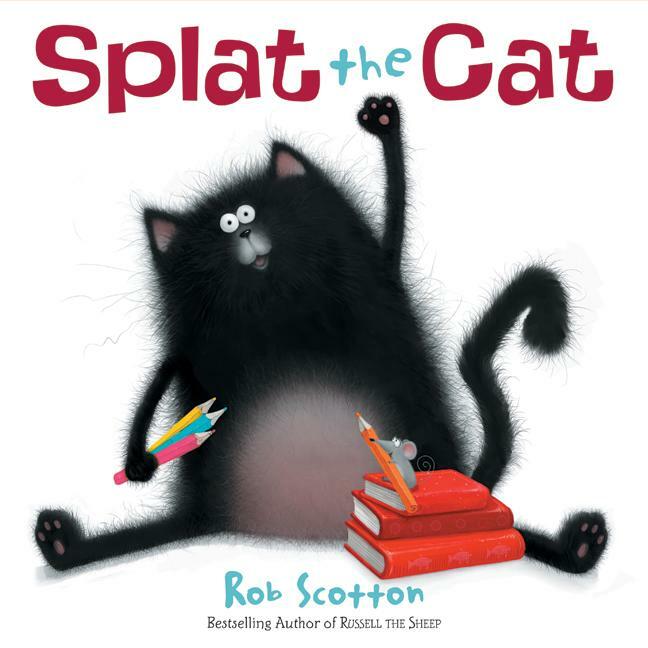 Summary: Splat is a very worried cat. It's his first day of school and he frets that he won't make any new friends. 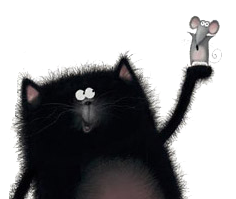 Just in case, Splat brings along his pet mouse Seymour and hides him in his lunchbox. Mrs. Wimpledimple teaches the class that cats are supposed to chase mice. But what about Seymour? Even young preschoolers enjoy making simple graphs. It’s a fun way to introduce the concepts of counting, sorting, and comparisons of less and more. Make a simple graph representing all of the pets the children have at home. Does anyone have a pet mouse like Splat does? Summary: One day, Little Sal ventures with her mother to Blueberry Hill to pick blueberries. Sal's mother wants to can the berries so that they will have enough food for the winter. 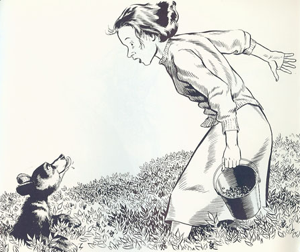 On the other side of Blueberry Hill, Little Bear is being nudged by her mother to eat lots of berries to grow big and fat. Both Sal and Little Bear are tired of walking and stop to rest. When they get up, they start to follow the wrong mother. 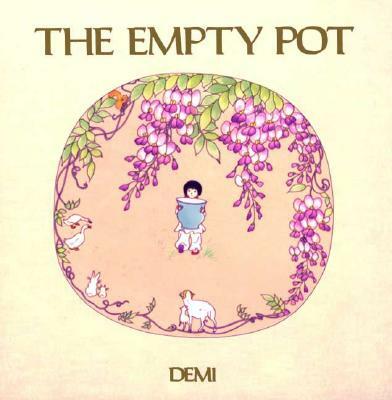 Little Sal's mother and Little Bear's mother discover their children are missing and go off to find them. Mixing a batch of blueberry paint is a fragrant and fun activity for a creative teacher. 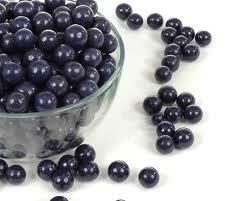 Put a handful of blueberries into a microwave-safe bowl, add some water and microwave until soft. Mash the blueberries with a fork and strain the juice off. 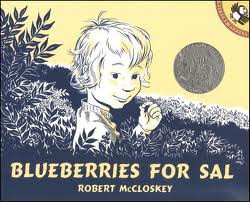 Give each child a bit of blueberry juice in a paper cup, a paintbrush, and a piece of paper. Allow the children to paint pictures with the blueberry juice. Be sure to discuss the smell and color of their blueberry masterpieces! Summary: Nicki loses his white mitten in the snow. He trudges home without realizing that it has gone missing. One by one, woodland creatures find it and crawl in to keep warm. A mole, rabbit, hedgehog, owl, badger, fox, bear, and mouse snuggle into the warm mitten. All the while, Nicki does not realize what an adventure his mitten is having. Suggested Activity: Sing The Mitten in the Snow to the tune of The Farmer in the Dell. Summary: This heart-warming picture book is written in a how-to style. 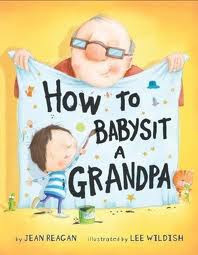 The narrator gives helpful hints as to how one "babysits" a grandpa. These tips include what to eat for a snack (anything dipped in ketchup, ice cream topped with cookies, olives served on fingertips), what to do on a walk (find lizards, dandelion puffs and cool rocks), and how to play with a grandpa (build a pirate cave, march with your drum). Suggested Activity: Follow the tales numerous tips on what to do on a walk by planning a book-themed scavenger hunt. Look for lizards, cool rocks, dandelion puffs...... On the walk, encourage children to collect bits of nature that interest them. You may wish to make the rule that they can only take along objects that will fit in their collection bags, or that they must check with you to make sure that the objects they are taking along are safe. Summary: "The Gas We Pass" presents readers with a straightforward look at a natural body function. 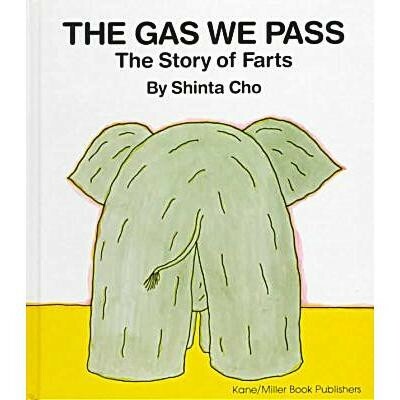 This humorous book explains how and why gas is produced, how much is produced, and why it is sometimes malodorous!